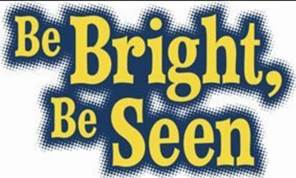 On the 11th of February we are going to hold ‘’Be Bright Be Seen’’ day at school. Everyone is encouraged to dress as brightly as possible. Bring any fluorescent and reflective items you have at home as we are going to dress up one person in each class with as many items as possible. The brightest person will win 10 minutes extra playtime for their class. ‘’Brighten Your Bike’ competition – add bright and reflective items to your bike. The brightest bike will win! This entry was posted in All Classes on 29/01/2019 by centralps.